With instant coupon for Kaspersky.com. The new 2016 versions have just been released… But that does’t mean you need to pay full price to get it! With our instant coupon you’ll get 50% off any version of Kaspersky Antivirus when you follow the above instant coupon link. This deal is only valid on orders made at the Kaspersky store in North America at Kaspersky.com. Your cheapest option is to just buy the single PC license for one year which comes out to be $29.95 (vs. $59.95). Just remember to remove the CD disc that’s automatically added to your cart as it’s completely unnecessary and not worth the $10.00 price (the download of the software is free immediately after checkout). You’ll also have the option to signup for auto-renew at the time of checkout which will renew the software automatically at the upgrade price once you near the expiration of your subscription term. Coupon expires April 15, 2019. Save on your 2nd year of Kaspersky. The official Kaspersky store now lets you save up to 30% when you buy your second year upfront. So if you already know that you will need protection for more than 12 months then be sure to consider either the two or three year options available in store to save the most on your subscription. Best of all, most coupon codes and store-wide sales apply to all product configurations so adding a second your of protection to your order often gives you the lowest per-licence cost. Pricing will vary depending on the years of protection chosen. Kaspersky now on sale at Amazon. When it comes to software deals, Amazon typically tops our list of favorite stores for all the major brands. When it comes to Kaspersky Antivirus software, you can easy find most versions at 40% or more off the list price. You’ll also have a number of different versions to choose from depending on the number of years of protection and licenses you need. Just remember that prices and discount tend to change daily so see store for more details. Sale prices will vary – See official store for details. If your Antivirus licence is about to expire (or recently has) then as an existing Kaspersky customer you care eligible to get up to 30% off on your subscription renewal/upgrade at Kaspersky.com. Discounts will vary depending on the version that you currently own and how many years of protection that you need so be sure to have your existing license number handy to check what’s available for you (not to be confused with your activation code). Only customers with valid full-year licenses can renew at the discounted price. Open to all existing Kaspersky customers. Students save with school ID card. If you’re currently a college or high school student (or someone in your household is over the age of 13) then you can take advantage of special student pricing that cuts the price of Antivirus 2016 by 50%. That brings the price down to just under $20.00 for a full year of antivirus protection. About the verification, we’re not quite sure when or if that happens as it appears that anyone can buy at the student price. We suspect that you may be asked to provide student verification before the product ships to you or at the time of installation but we’re not sure. See all our student discounts. Valid for current and qualifying students only. Try Kaspersky Antivirus 2016 Free! If you are still deciding on the best cheapest antivirus software and haven’t yet tried Kaspersky antivirus, then be sure to take advantage of the available free trial. They have all of the 2016 versions available to potential new customers to test out for a full 30 days. 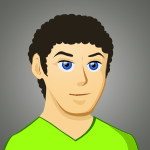 You’ll have full protection and be able to run an unlimited number of scans. After 30 days a license key will be required to continue protection for another 12 or 24 months. Signup to our release date notifier and we will send you a note the moment Kaspersky Antivirus 2017 is released. See all our other antivirus software deals! Does Kaspersky have a return policy? Yes! 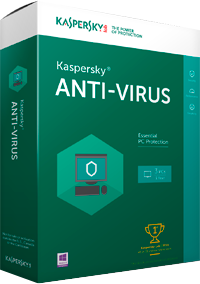 If you order Antivirus 2016 directly from Kaspersky.com then you’re covered by a 30-day money back guarantee. Just fill out the cancellation form and send in a completed letter of destruction, and your return will be processed within a few business days. You also have the option of canceling your auto-renew subscription through the same cancellation form and selecting the "Subscription Request" option. If a deal is not working or not applying the correct discounts then we want to know! We check these pages almost daily and work closely with the retailers directly to ensure that we have the most up-to-date coupons and promotions for Kaspersky software. However, it’s possible that one just slipped through the cracks or simply expired a little bit earlier than expected. Remember, when dealing with any discount codes, you will need to copy and paste them into the appropriate area during order checkout to active the deal. Otherwise, it won’t work! When will the 2017 version of Antivirus be released? We’re fanatics when it comes to new product releases and spend countless hours tracking software news and rumors (we actually have an entire team dedicated to doing just this!). When it comes to Kaspersky software, the releases are a bit easier to predict. Keep an eye out for all of the Kaspersky 2017 editions to become available in the first half of July 2016. If you’re joined to the beta group, watch for it to open up for testing by the end of June. As we always do, everyone on our release date notifier list will receive an email as soon as it’s released and on sale (you can signup above! ).